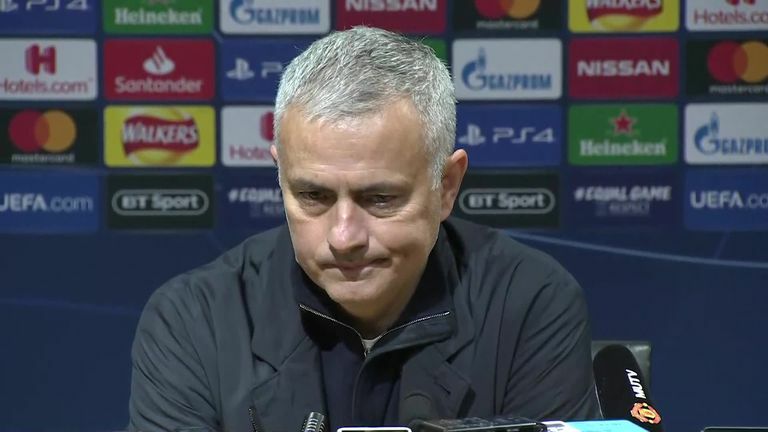 Jose Mourinho explains the emotions behind throwing a drinks rack after Manchester United's winner against Young Boys and says he is proud of his side's performance. Jose Mourinho explains the emotions behind throwing a drinks rack after Manchester United’s winner against Young Boys and says he is proud of his side’s performance. Jose Mourinho reminded his critics of his record in European football after Manchester United scraped past Young Boys to qualify for the Champions League knockout phase. Marouane Fellaini’s 91st-minute winner saw United book their place in the last-16 with a game to spare at the end of the frustrating night at Old Trafford. The winning goal – United’s first home goal in this season’s Champions League – sparked an outburst from Mourinho, who launched a drinks bottle holder into the ground as emotions got the better of him.